Cheaper batteries will allow mainstream pricing of Tesla’s EVs in six years—and lots more. Tesla’s Giga factory aims to reduce the cost of lithium-ion batteries by 30 percent in three years and 50 percent by 2020. This big, bold move invites historical comparison. Henry Ford’s massive factory scale and vertical integration cut the cost of internal combustion-based cars by more than half, made Ford Motor Company the (then) biggest car company in the world, and helped bolster the American middle class in the process. A hundred years later, China’s use of scale economies and vertical integration made it the global market leader in solar PV in less than a decade -- and reconfirmed the power of scale and vertical integration. But what does Tesla’s Giga factory really mean? Let’s start with the obvious: cheaper batteries will allow mainstream pricing of Tesla’s EVs in six years. That’s consistent with Musk’s vision to put an EV in every garage. Mainstream pricing will turn Tesla into a massive company. Sure, Tesla’s competitors are big and confident -- just like Apple’s competitors when Steve Jobs announced his vision to put a PC on every desktop. As was the case with Apple in 1976, Tesla won’t need to worry about cannibalizing sales of existing products. Competitors with smoke spewing from their corporate tailpipes face a far more complex transition. Just as Digital Equipment Corporation failed to make the turn from mini computers to PCs, some big and famous car companies might not make the curve in the road to EVs. Of course, every car company thinks they’ll make that twist in the road just fine. It’s not that hard to make an EV that works. But batteries are the biggest cost component of an EV, and Tesla’s battery cost roadmap is now well less than the cost structure most car companies have been planning on in the near term. More importantly, Tesla’s planned expansions to its Giga factory look like the start of a race to the moon in terms of the capital involved. We all know how many countries sent people to the moon. Few conventional car companies will match Tesla’s Giga factory investment. Some may partner to build their own giant battery manufacturing facilities -- a potentially sound survival technique. Some may even try to partner with Tesla. Elon Musk has cleverly left that door open. A master at creating valuable business options and extracting synergies, Musk announced Phase One of the Giga factory, but not who his partner(s) will be or even the location of the plant. 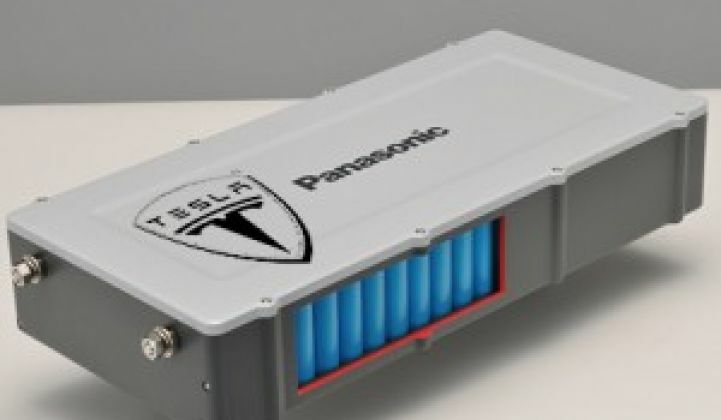 Will Panasonic be Tesla’s Phase One partner? If so, how much of the world’s Li-ion battery business will Panasonic need to give up for the privilege? While Tesla’s short-term battery cost reduction will come from scale economies and vertical integration, improvements in battery design and performance will provide greater value over the long term. With its Giga factory plan in place, Tesla will benefit by attracting even more intellectual property. In a meeting last week with VCs in Boston, I witnessed this effect in person. Two young materials science Ph.D.s from a certain local university were pitching their millennial hearts out for seed capital. They said they’ve developed a new nano particle chemistry that can radically improve the performance of Li-ion batteries. When the VCs asked about exit strategy, they quickly listed the top-tier battery manufacturers. The VCs nodded approvingly. Tesla made the list even though it hasn’t yet produced a single battery. Astrophysicists explain that planets start to form when dust clouds, comets and asteroids collide, with some of the stuff sticking together and forming increasingly larger bodies. Eventually an object acquires a lot more mass than the others and begins to exert a more powerful gravitational pull. At that point, everything simply falls toward it. Everything. Tesla now exerts Jupiter-like intellectual gravity. As a result, Tesla will get to see more potential innovations than other companies, and probably sooner. Tesla also has a form of exchange (its stock) that excites owners of breakthrough intellectual property. As with the formation of the biggest planetary bodies, Tesla’s gravitational effects will magnify exponentially. Barely detectable at first, the end result will be a massive disruption to the older previously stable system. Tesla’s heavy gravitational field is about to impact another industry. By cutting the cost of Li-ion batteries in half, Tesla can play in the grid-scale storage industry by performing peak power substitution. Li-ion batteries are already used for frequency regulation, and Tesla can do that too. But the market for storage-based peak power substitution is at least twenty times larger and can carry Tesla into the heart of the utility power generation industry. Tesla’s most recent SEC filings seem to support that possibility. Peak power substitution involves the use of storage to replace simple cycle gas-fired peaker plants. On a global basis, about 30 gigawatts of new peaking capacity are being added each year to keep up with population growth and increasing electricity demand. At an average cost of $1 million a megawatt, that’s a $30 billion annual market. Musk recently stated his belief that the cost of Li-ion batteries can be dropped to $100 per kilowatt-hour. That’s well below what would be needed to supplant a simple cycle peaker. Even assuming $200 per kilowatt-hour for batteries and another 50 percent to cover balance of plant (BOP) costs like land, transformers and grid interconnection, a 4-hour duration storage-based peaker would cost $1.2 million per megawatt. Some peakers must be located where their cost is a lot higher than $1 million per megawatt. But storage facilities can have greater value because they respond faster and more accurately than conventional generators, can be built fast, and lack air emissions. The market for peak power substitution is already starting to take shape. Long Island Power Authority’s current RFP for new peaking capacity calls for at least 150 megawatts of energy storage -- and up to 650 megawatts if the price is cheaper than other options. Peak power substitution is a near-term market opportunity. Just a bit further down the pike is the use of EVs for vehicle-to-grid (V2G) and vehicle-to-building (V2B) applications. 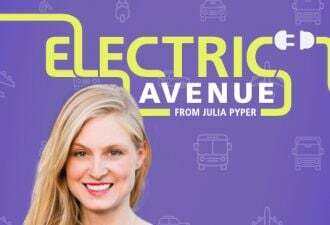 Once enough EVs are on the road, EVs sitting in parking lots or at home can be used for many energy balancing functions now performed by utilities. These include peak power substitution, ramping/spinning reserve, and primary and secondary frequency control. A number of assets are needed to transform this potential into reality. Tesla can own or effectively control all of them. The battery manufacturer must be willing to subject the EV’s batteries to extra cycling. Since Tesla will make the batteries, that’s no problem. Any added cost due to battery degradation can be more than offset by revenues gained by bidding energy services into markets managed by independent system operators. For Tesla, it will be a form of margin switching. Aggregation and control of distributed (mobile) EV assets will also need solid communications pathways. That’s no problem, because Tesla makes the cars. Computational prowess will also be needed. And bidding the aggregated EV assets into the deregulated markets will require sophisticated industry know-how. While early attention related to using EVs for grid energy balancing purposes has been focused on V2G, a variation of that concept is vehicle-to-building (V2B). The term refers to aggregating and controlling multiple EVs and using their combined energy storage to deliver energy balancing and demand limiting services to nearby buildings. V2B creates another option for Tesla to enter an industry, in this case, the building energy management space. This industry is currently the province of companies like Johnson Controls, Honeywell, Siemens and Trane/Ingersoll Rand. Here’s how Tesla could intrude on the market of these global giants. Imagine a 150,000-square-foot office building with occupants that account for 300 cars in the parking lot. Assume that one-third own EVs. Properly controlled, the fleet of EVs sitting idle in the parking lot could offset most or all of the daily peak demand of the office building and still have enough energy to safely drive home. Savings on reduced demand charges could exceed $1 million per year in several of states, including California and New York. It’s easy to see how Tesla could structure a service offering that creates a win-win for the EV owner, building owner, and of course Tesla. Competitors: go fish. With its new battery Giga factory, Tesla will no longer be just an EV company, or even a Li-ion battery manufacturer. 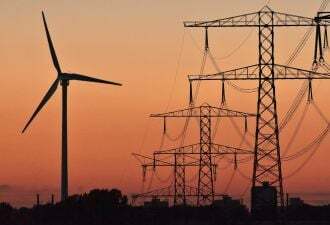 It’s positioning itself to compete in one of the biggest and most lucrative industries on the planet: the utility and power generation industry. Most of its current and future competitors have considerably less vision, less imagination, a lot more baggage and less passion. And of course, none has a Giga factory. Chet Lyons is the founder of Energy Strategies Group, an energy storage consulting firm that assists innovative manufacturers, utilities, project developers and investors in establishing an early, profitable and sustainable role in the rapidly growing energy storage industry. Chet has held key positions at DNV KEMA Energy & Sustainability, Beacon Power Corporation, American Superconductor, Evergreen Solar, Energy Resource Associates and Johnson Controls. He recently authored the GTM Research report, Grid-Scale Energy Storage in North America 2013: Applications, Technologies and Suppliers.